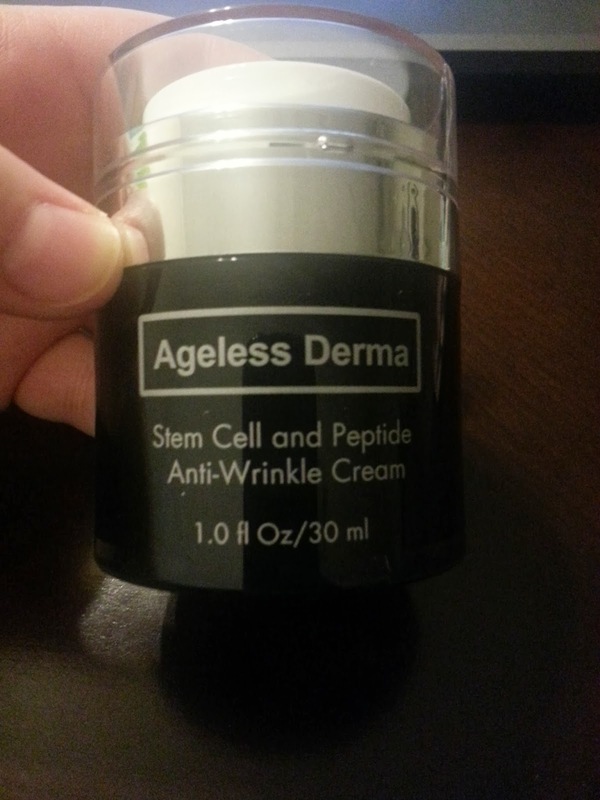 Ageless Derma is quickly becoming a favorite brand of mine (I reviewed their blush recently too). 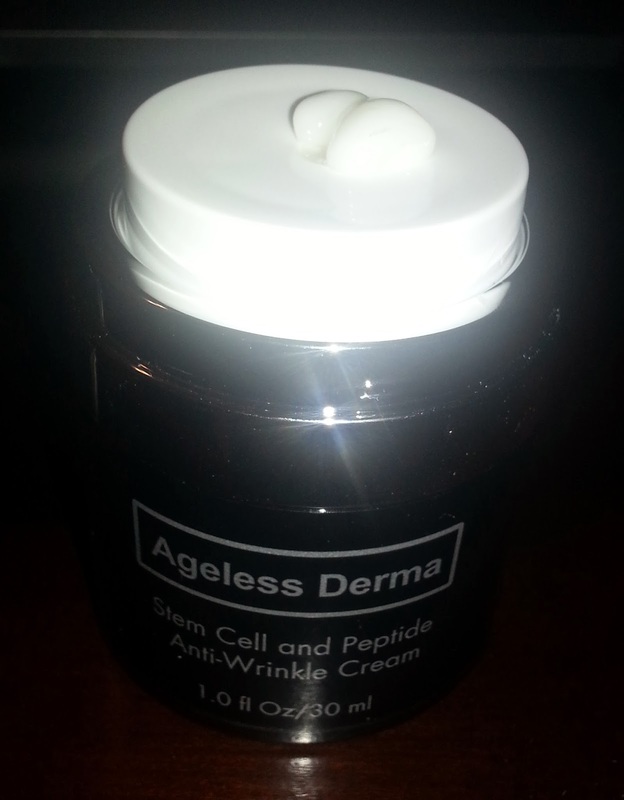 The latest product that they sent me was the Ageless Derma Stem Cell and Peptide Anti-Wrinkle Cream. I was excited to try something from their skincare line. I started using anti-aging products in my mid-twenties for preventative reasons. Now that my skin is starting to change at age 30, I am using them religiously. My skin is currently line and wrinkle free and I am determined to keep it like that. 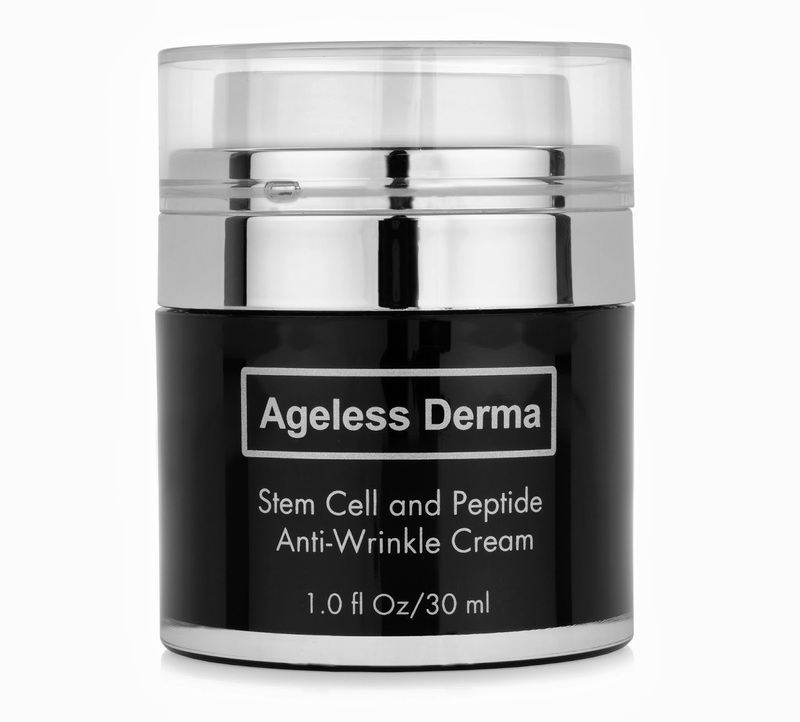 This Anti-Wrinkle cream combines seven anti-aging products into one product. It eliminates the appearance of fine lines and wrinkles, removes crow’s feet , improves the firmness and elasticity of skin and re-energizes skin for a smoother, firmer and younger look. It incorporates an apple stem cell extract called PhytoCellTec that has demonstrated 100% effectiveness in measurably reducing facial wrinkles. The first thing that caught my eye when this product arrived is the cool airless packaging. The dispenser is a large white disc that you gently push down. Then, the perfect amount of cream shoots up through the center of the disc. I have never seen a container like this and I really like it. Most of my creams come in a potted form and I hate that I am not only exposing the cream to the air every time I use it, but I am more than likely leaving behind skin cells and moisture. Gross. That is not a concern with this innovative container. The cream is pearly white and very silky to the touch. It has a slight sweet smell (reminiscent of roses and citrus). It is a great moisturizer. It makes my skin feel soft and silky without being greasy (which is a major concern of mine). The Stem Cell and Peptide Anti-Wrinkle Cream can be applied morning and night. I have mostly been applying it at night because my mornings are really hectic and I forget. I have also noticed that my skin breaks out less when I use this cream before bed (that may just be me though because my skin breaks out when dry). After using the cream for about three weeks, my skin has definitely improved. It looks healthier, more even and clearer. 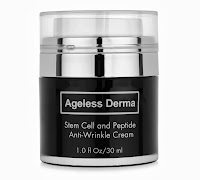 I definitely recommend Ageless Derma Stem Cell and Peptide Anti-Wrinkle Cream. I can't wait to try out more Ageless Derma products. I have such sensitive skin. I'm 41 and I have the skin of a 14 year old, I break out so easily. I am always looking for something to help and keep wrinkles at bay, so perhaps I'll check this out. This sounds like a great product, thank you for your review.